When would L.L. Bean recognize sales revenue from the sale of its backordered Bean boots? L.L. Bean operates two factories that produce its popular Bean boots (also known as “duck boots”) in its home state of Maine. Since L.L. Bean prides itself on manufacturing its boots in Maine and not outsourcing, backorders for its boots can be high. In 2014, L.L. Bean sold about 450,000 pairs of the boots. At one point during 2014, it had a backorder level of about 100,000 pairs of boots. L.L. Bean can manufacture about 2,200 pairs of its duck boots each day with its factories running 24/7. In 2015, L.L. Bean expects to sell more than 500,000 pairs of its duck boots. As of late November 2015, the backorder quantity for Bean Boots was estimated to be about 50,000 pairs. Assume that a pair of 8” Bean Boots are ordered on December 3, 2015. The order price is $109. The sales tax rate in the state in which the boots are order is 7%. L.L. 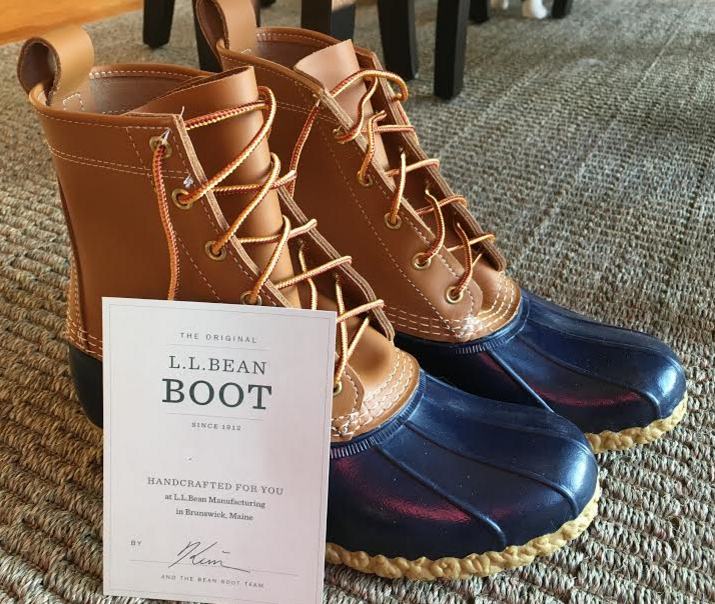 Bean ships the boots on January 29, 2016. Assume same-day shipping for the sake of simplicity. On what day would L.L. Bean recognize the sales revenue for this order? Now assume there is a 7% sales tax rate in Ohio, where the customer who ordered the boots is located. The sales tax on the order would be $7.63, which L.L. Bean adds to the invoice total. Is the $7.63 added to L.L. Bean’s sales revenue? Why or why not? Assume another customer has returned a pair of duck boots (original cost $109) to L.L. Bean. What journal entry would L.L. Bean make to process the return and refund the original purchase price to the customer (assume that there was no sales tax charged in the original transaction)? What happens from an accounting standpoint when FNB Bancorp issues a stock dividend? These articles and the accompanying PP are great. Are there also accompanying solutions?